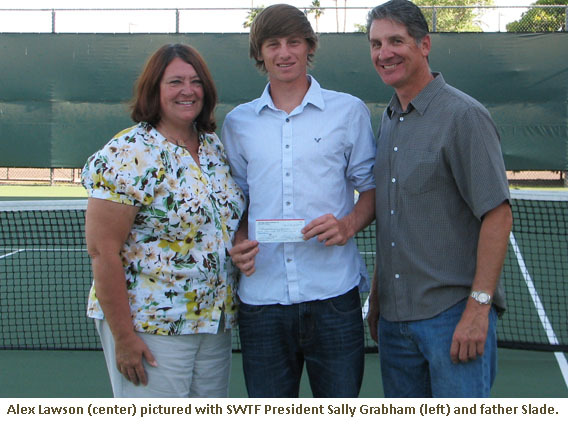 Tempe high school senior Alex Lawson was recently announced as the 2012 recipient of a Southwest Tennis Foundation College Scholarships. Lawson was awarded $2,000 for college expenses from the Southwest Tennis Foundation for his successes on the tennis court, in the classroom, and in his community. The Southwest Tennis Foundation is the charitable arm of USTA Southwest and distributes cash awards, grants and stipends for a variety of community-based programs, including college scholarships to high school seniors. This year's scholarship winner was chosen for his community service, scholastic excellence and their extensive tennis backgrounds. Alex Lawson is a soon-to-be 2012 graduate of Corona del Sol high school in Tempe, Ariz.
Lawson has played junior tennis since he was a small boy, with deep Phoenix-area and USTA Southwest connections. The 18-year-old Lawson has had a stellar Southwest junior career, winning several top-level Section singles and doubles events, including the Phoenix Junior Championships and Southwest Closed. He has also been ranked Top 3 in the Southwest in every age division and represented the Southwest at many national competitions, including USTA Zonals Championships and USTA Boys Team Championship events, and even participated in Jr. Team Tennis from the time he was seven until 12 years old. He's been ranked top 100 in the nation nearly every year as well and complements his on-court game with a consistent temperament on it, winning several USTA Sportsmanship Awards at the local, Section and National level. In late April of this year, Lawson capped four straight years with an Arizona Division 1 state championship title, winning his second straight singles event by downing Nolan Bauer of Scottsdale Chaparral 3-6, 6-2, 6-3. In the fall of 2012, Lawson will enter the University of Notre Dame in South Bend, Ind. and will play tennis on the team. "For the last 10 years or so I've devoted my time to trying to play college tennis, so I am glad I have reached that goal," said Lawson, will play for the Fighting Irish starting in the fall of 2012. "I'm really excited about this opportunity ahead of me, and of course this award. It's a real honor to get this. I've been given a lot of great opportunities and things from the Southwest as a junior player, so this is a nice end to it." Added Lawson on his college selection: "If a couple of years ago you would have told me I would have been able to go to Notre Dame, I would have been shocked. It all worked out really nicely. The school is incredible, and I'm looking forward to a great education, great athletics, and just a great college experience." Lawson's family has been active in tennis for quite some time in the Phoenix metropolitan area, as his mother Tracy, was a former top-ranked girls 18s player, and is the current USTA Central Arizona volunteer president. Alex's sister Kelsey, is also a former top-ranked junior girl in the Southwest, and is currently playing tennis at DePaul University in Chicago. Alex has been an active volunteer locally for USTA Central Arizona, fulfilling the community service requirements of the Southwest Tennis Foundation by helping out at several local Phoenix events, including festivals, Play Days, Phoenix Junior Club Championships, and other exhibitions. Lawson, who will finish with a 3.6 GPA in high school at Corona del Sol, plans to major in business at Notre Dame. 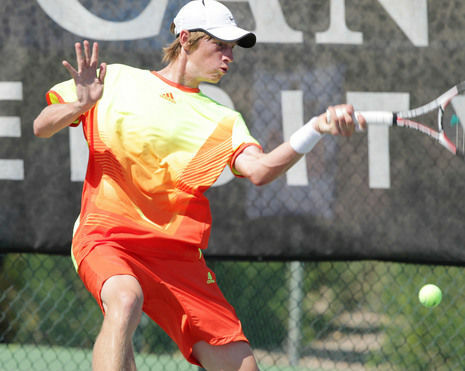 He plans to finish his Southwest junior career this summer at the Southwest Closed in Tucson. USTA Southwest and the Southwest Tennis Foundation would like to extend our own congratulations to Alex, and wish him well in his future endeavors in tennis and in life. The Southwest Tennis Foundation scholarships are given out annually to students who represent the best in community service and in tennis. Candidates are encouraged to apply for these annual awards. The college scholarship awards are given out once a year, while the Sam Fields Memorial Scholarship is given out twice annually. The deadlines for the Southwest Tennis Foundation college scholarships is May 1 of each calendar year, and the Sam Fields Scholarship deadlines are May 1 and Dec. 1 of each year. These scholarships are given out through the Foundation, which is 100 percent reliant on donations and USTA member support each year. 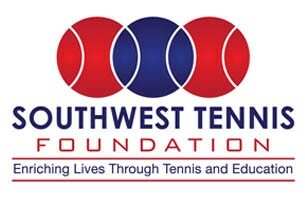 To apply for scholarships or to donate or learn more about the Foundation, please visit www.southwest.usta.com/swtf. The Southwest Tennis Foundation is a 501 (c)3 organization and the charitable, fundraising arm of USTA Southwest. It awards several scholarships to high school seniors who demonstrate outstanding abilities on the court and in the classroom each year.